Condominium living can be very exciting. You don’t spend as much as you would with an actual house and lot, and you’re usually situated in the middle of where all the excitement is. Of course, all of that depends entirely on where you decide to get a condo. After all, there are some developments that are right in the middle of nowhere. Some of the best shopping malls in the country are located in Makati. In fact, the most popular of these—SM, Landmark, Glorietta, and Greenbelt—are all interconnected by a convenient walkway. These are all filled to the brim with all the best shops carrying nearly everything anyone would ever need. All around Makati, specialty shops have planted their tent poles to cater to the many residents of this big city. These also cater to what almost everyone could ever want. Another thing you’ll find replete in Makati is a staggering array of restaurants and dining experiences. Present and accounted for are among the most popular names and franchises. If you want a quick meal, all the fast food franchises are available to order from. There are many other specialized dining experiences to cater to all tastes. There are bars, bistros, and night spots for those who prefer to party. Anything to match gastronomic tastes is on offer. Makati is also home to many amazing cultural experiences. You have at the forefront, the Ayala Museum, which is renowned in the country for it’s amazing and breathtaking exhibits that come from different parts of the world. These are curated to provide a deeper experience of local and international culture. The museum has evolved over the years to provide multimedia experiences in the modern world. These are also usually interactive, keeping things fresh and exciting. One big advantage of living in a condo in Makati is that it opens you up to some of the best medical treatments at Makati Medical Center. This world-class facility has seen improvements and evolution over many years. This has made it a prime destination for the treatment of the widest range of ailments and conditions. When you seek treatment here, you can be sure that you are being well taken care of. That’s perfect for anyone who wants to live with peace of mind and a guarantee of good health. Finally, Makati is one of the central transport hubs in Metro Manila. Living here gives you access to other cities, as well as provide you with the means to travel to other areas of the country via bus. As a bonus, the airport is nearby for frequent fliers. 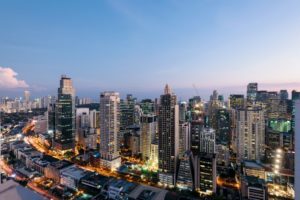 If you’re looking for the best city to live in, Makati is one of the best options available. Provided you find a great developer, you can be sure that the condo you’re getting will meet your needs and lifestyle. With that settled, you certainly have much to enjoy and experience in the city you’ll be calling home soon.